I was at the Spring Fayre at Corso Street Sheltered Lounge. It was great to see many local people there. I was really pleased to speak to many residents and hear about their concerns. It was a great to help raise funds for the residents in the area. Many of the economic problems which the country faces today, and indeed the world faces, are because banks put chasing unsustainable profits first. If you want banks to put people first rather than shareholder profit then the Feeling's Mutual. The Feeling's Mutual is a campaign run by the Co-operative Party aimed at promoting mutuals and co-ops in our society. Northern Rock is a demutualised building society which ran into trouble because it stopped putting people first. The UK Government has a chance to put people first, instead of selling off Northern Rock to the highest bidder who will have to recoup that investment by chasing unsustainable profits. To find out more about this campaign view the latest video from the Co-operative Party. On Tuesday I was delighted to attend a hustings arranged by the Dundee Pensioners' Forum. In terms of the issues facing pensioners I have two main points, firstly I think that pensioners have a range of concerns right across the range of policies, they are not only focused on the issues which face them personally. I also think that the growing number of older people is a positive thing and I think that they have, as the Dundee Pensioners' Forum already does, a positive role to play in our society. We should listen to the voice of experience and we should also ensure that policies are suitable to older people. I know that Labour's proposed National Care Service will make a real difference to the lives of older people in Dundee. Labour launched a video which highlights the pledges made in the manifesto. I like this video because it shows people talking about how the Labour Party's policies can help them. It shows that we are focused on what really matters for people in Scotland and in Dundee. 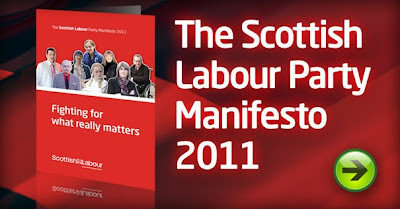 On Wednesday Scottish Labour launched our manifesto for the Scottish elections. The manifesto is focused on what really matters to people and reflects the concerns of the people I have spoken to on the doorsteps in Dundee. Jobs and unemployment are real concerns for local people. Abolishing youth unemployment is a noble goal and I know that this is what local people want. I want to see a share of the 250,000 new jobs which Labour will create creating here in Dundee. We need to focus on jobs and the other issues which really matter to local people, that's what I'll be doing in this election campaign. 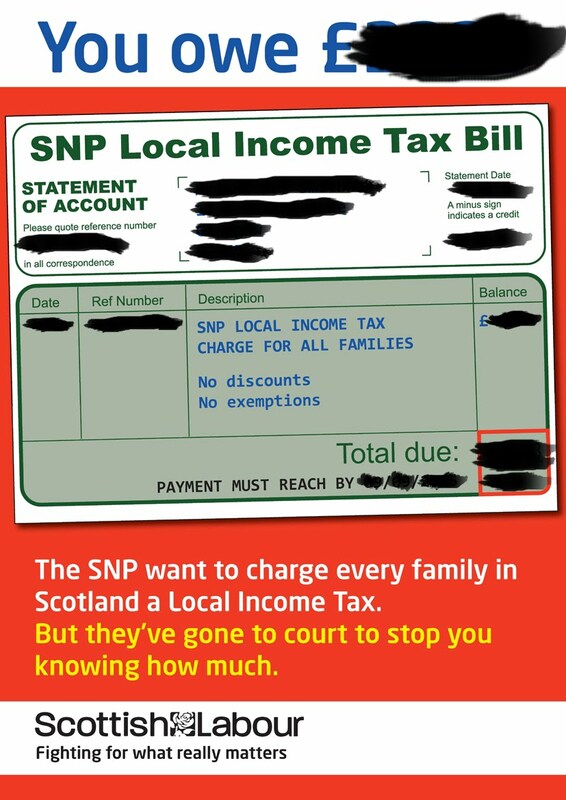 I am shocked, but not surprised, that the SNP is using taxpayers money to cover-up the true cost of their damaging Local Income Tax proposals. This is a level of secrecy and aversion to openness that those of us who have dealt with the SNP in Dundee have grown used to. For example, a report on the future of education in the city is not being made public despite the fact that it has been widely circulated. 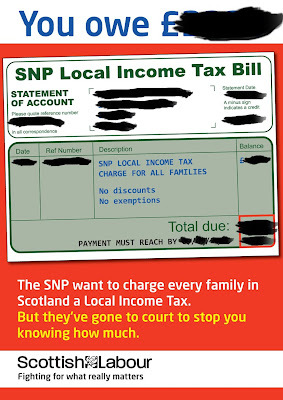 Local Income Tax would hammer hardworking Dundee families during these tough times and make Scotland the highest-taxed part of the UK. Under the SNP plans, a couple on average wages in a modest home would pay over £500 a year more. Business organisations and trade unions are opposed to the totally discredited LIT and the damage it would do. Labour will freeze council tax for two years helping hard-pressed families through these tough times. I welcome moves by the Scottish Labour Party to reward councils for creating jobs. Labour will allow local authorities to keep a fairer share of the revenue raised from business rates through higher growth. When I am going round Dundee City West time after time people are raising concerns about jobs with me. Jobs are my top priority. I am pleased that the Labour Party understands this. Cities like Dundee drive economic growth and create jobs throughout the whole region. The best way to protect local services is to raise revenue by improving the performance of the local economy. I think that it is important to make economic development a statutory requirement for local authorities. As a councillor I am clear that the SNP-led Administration of Dundee City Council could do more to promote jobs. I will campaign tirelessly for jobs for Dundee. On Mother's Day I am supporting Save the Children's 'No Child Born to Die' campaign. This campaign looks to support children in the most deprived communities in the UK, as well as children and mothers in the developing world. In 2011, 8 million children will die of preventable causes before they reach their fifth birthday. I know that children and their mothers need vaccines, medicines and access to doctors, nurses and midwives to survive. I believe no child is born to die. That’s why I pledge my support for every woman and child, no matter where they are in the world, to get the proper healthcare they need. This September at the United Nations, world leaders could make a real difference towards saving children’s lives. I back this campaign, to call for 3.5 million health workers.